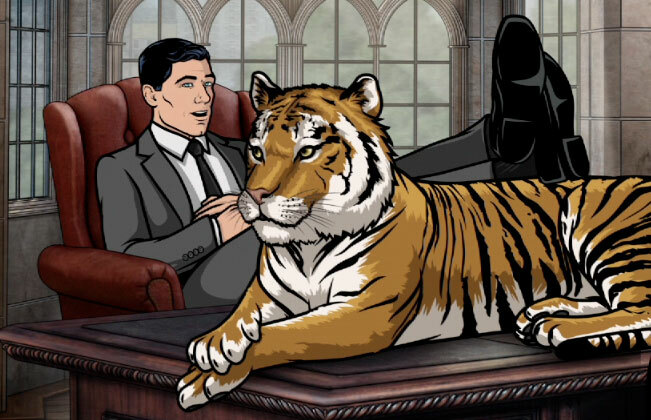 For anyone who’s not aware of Archer, give me your location and I’ll send a pimp over to your house to slap you. Archer is a spy comedy cartoon. 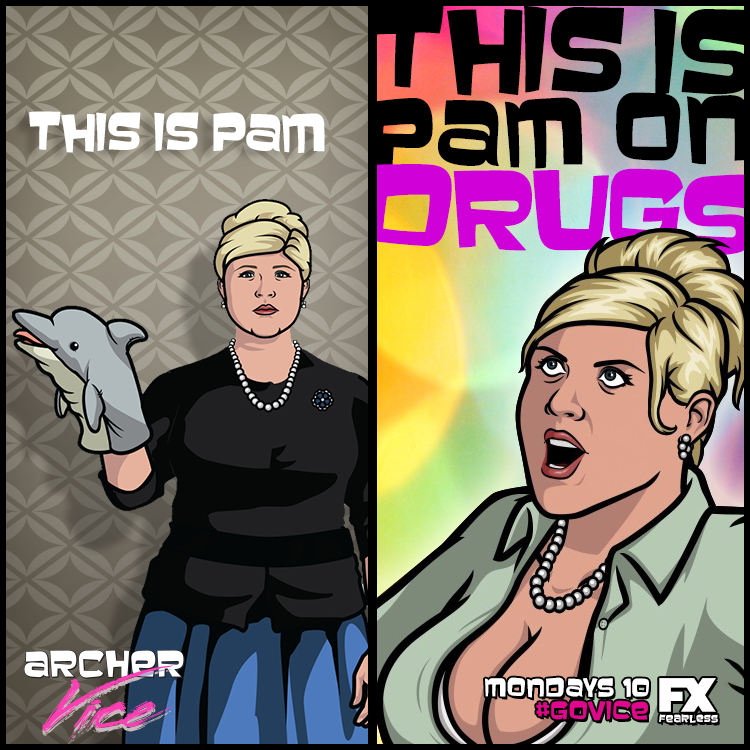 Archer Vice is the same cartoon, only now it’s a show about an up-and-coming drug cartel. Archer is a show that relies heavily on in-jokes and callbacks to reward today’s pop-culture-obsessed audiences. Who doesn’t love that? However, Archer is just beginning its fifth season, which means that for potential new viewers, there’s a lot of homework to do if you want to get why the mere mention of ants is so funny. So, rather than risk alienating people with an impenetrable force field of in-jokes, they’ve gone a new route: taken away the spy agency security blankie, and replaced it with a quest to sell a tonne of cocaine and make former secretary Cheryl a country music sensation. And why not? This move has proved mostly popular among fans, who still have the full cast and the banter that goes with them to keep them happy, although some feel it’s too radical a departure- so much so that it “doesn’t feel like Archer” any more. Still, it can’t be denied that without this, Archer would have turned into another “mission of the week” show, with never-resolved sexual tension and Flanderised characters. Kudos to the Archer team for having the balls to change it! So enough of the whys and wherefores- what’s actually going on in Archer Vice? Nothing in life will ever be as awesome as this picture. NOTHING. Archer and Lana… showing emotion? What is this? 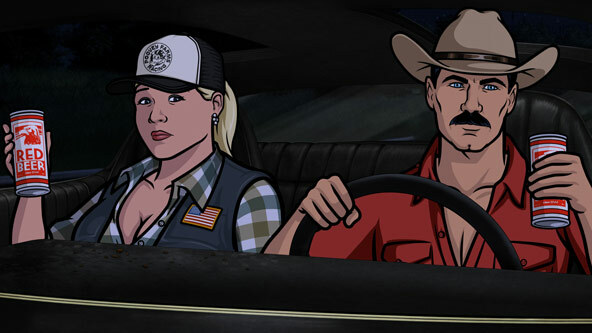 Archer and Pam hit the road. Archer’s resemblance to Burt Reynolds is not at all coincidental. Ray coaches Cheryl in singing. That poor, poor man. …..it makes sense in context. 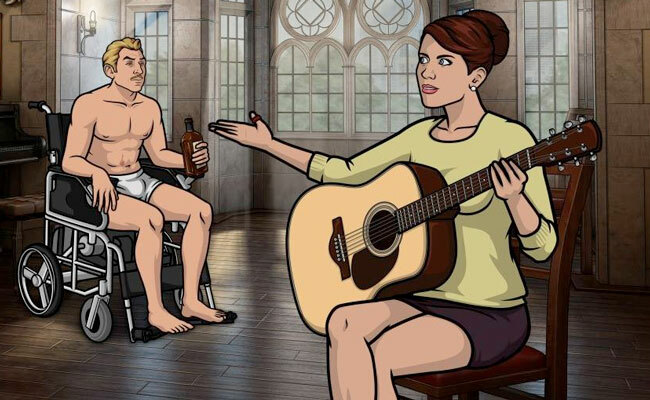 Archer Vice is five episodes in, and yes, it is awesome.